When it comes to Christmas snacking, I am the queen of muchies. 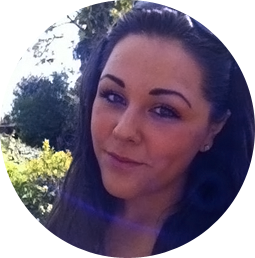 From turkey sandwhichs to boxes of biscuits and packets of crisps, there's nothing I love more than an indulgent treat. So when Fairfields Farm Crisps announced they've launched a Turkey, Sage and Onion flavour, I HAD to try them. 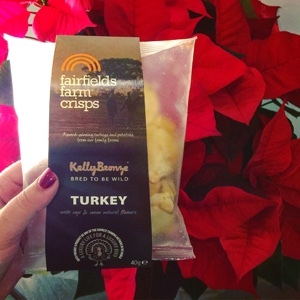 Promising the succulent flavour of delicious Kelly Bronze roast turkey with the distinctive taste of sage and punchy onion, these taste tingling snacks are a wonderfully local choice for festive snacking. Produced on the Fairfields family farm in Essex, the new crisps use potatoes that are dug, chopped, cooked and packed all on one site to ensure the best taste and the lowest possible food miles. 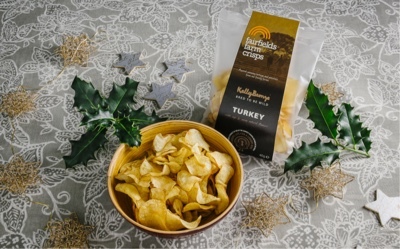 Working together with Kelly Bronze, which is based just down the road in Danbury, Essex and is known for producing delicious, high welfare turkeys, Fairfields Farm Crisps has produced a product that is full of festive flavour. Turkey, Sage and Onion will be available from mid October in East Of England Coop Stores and online through Amazon. RRP 80p for a 40g bag.